A collection of 6 adorable designs done in multiple sizes and split for various hoops, digitized under exclusive license granted by Nippert & Co. Artworks. Brenda Nippert is well known in the basket community as the best source for original clipart for promotional material and other needs. 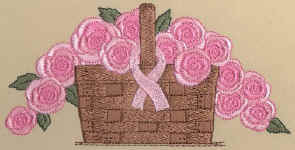 Although her basket artwork is what she is best known for, she has created lots of clipart that anyone can use. You can see and purchase more of Brenda's exceptional clipart here. The price of this collection is only $30. 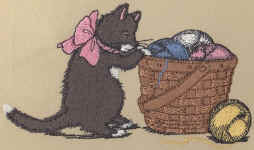 Use for plackets, cuffs, pocket toppers, borders!